Currently re-watching the Veronica Mars series. (So excited for the movie!) Came across this line when Piz and Veronica were talking at the school cafeteria. 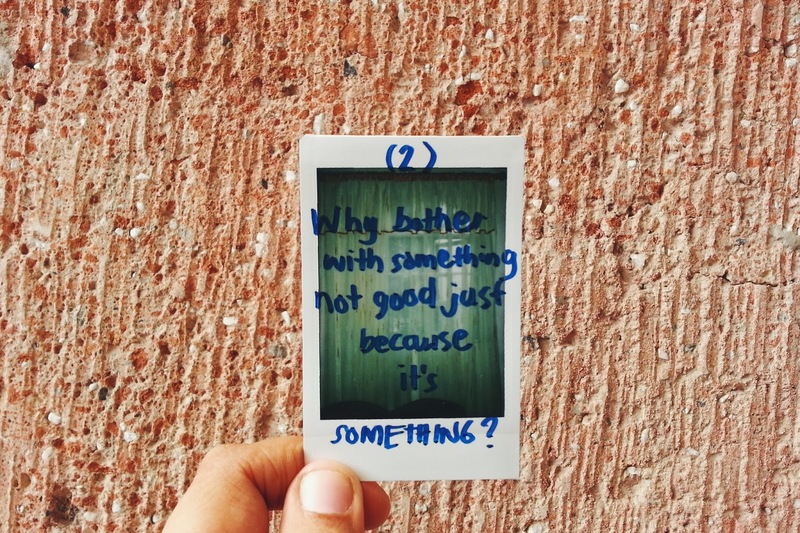 Some might argue that something is better than nothing. But for me, I'd rather not settle for the crumbs. Not anymore. Boracay's economy was totally impacted by Typhoon Yolanda. With no electricity and internet, too many booking cancellations have been made as a result thereof. Some employees were even asked to take a forced leave because there are no guests in some hotels. Thanks for that information! Never knew the extent of the impact as that was what the people from 357 Boracay told us. Hope it's better now.